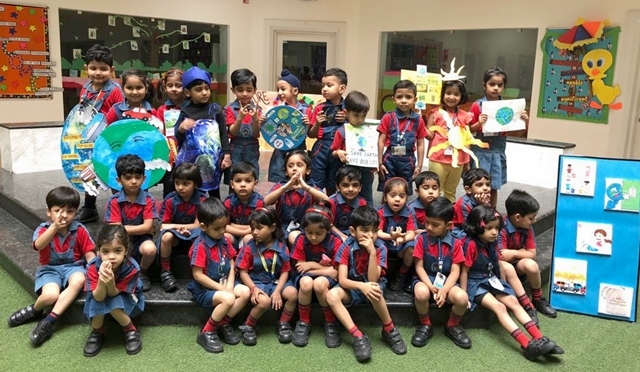 Young ones as young as 3 year olds to senior students and staff, all synergised to safeguard the mother earth. They planted seeds, wrote slogans, made bookmarks, spoke on what they felt was right to do, made props for their plays, did street plays and pledged to be a sincere and responsible citizen. The school urged all to treat the Earth as our mother and let its green cover remain intact and safe.